99Games, publishers of India’s most successfully monetized game, today announced winning Licensee of the Year award in the Gaming category for Dhoom: 3 The Game, at the 2nd edition of India Licensing Awards (ILA) held in Mumbai on 23rd August 2018. The India Licensing Awards, which celebrates excellence in Indian Licensing, is a unique platform judged by a panel of experts and top brasses of the industry. 99Games is winning this award for the second consecutive time having won it last year for Sultan: The Game. Dhoom: 3 The Game is an endless bike racing and adrenaline pumping game as its movie counterpart Dhoom: 3. The game gives players an immersive feel of the chase in the skin of Sahir, played by Aamir Khan. The characters of ACP Jai Dixit and Ali Akbar, played by Abhishek Bachchan and Uday Chopra are present to chase the anti-hero in their signature bikes. The game, which was a massive success, crossed 10 million downloads within a few months of its release. 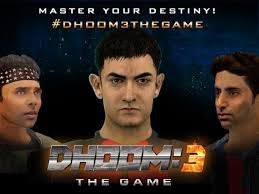 Within a span of six months (an industry first), 99Games launched a sequel of this game – Dhoom: 3 Jet Ski which crossed 5 million downloads. The lifetime downloads of the games have crossed 30 million, cementing its position as one of India's most downloaded games. The company has spearheaded the merger of Bollywood and Gaming through its multi-game partnership with Yash Raj Films by creating games for Sultan and Fan, besides the coveted Dhoom franchise.